The new iPad being announced tomorrow will be equipped with an LTE chip providing 4G capabilities on both Verizon and AT&T, reports The Verge. The site says that its sources have provided it with a variety of details about the new tablet, along with some information about a companion Apple TV that will be introduced as well. According to the sources, the new iPad 3 will come in a ‘variety’ of LTE flavors that allow it to run on both Verizon and AT&T networks, but will also be offered with a hybrid GSM/CDMA chip that will let that model run on other 3G capable networks. This would make a lot of sense for those markets that have little or no LTE coverage and offer an alternative that may be lower priced than the LTE flavor for countries where there is yet to be any LTE presence. LTE capability for the iPad 3 was predicted by iMore yesterday, and backed up by a report from Reuters earlier today. The new device will reportedly come packed with more RAM onboard, which would help it to support the larger image files and textures that would come along with the higher resolution Retina display. Instead of a shiny new quad-core A6 processor, however, the device would come equipped with the A5X chip, a dual-core variant of last year’s A5, but with improved graphics capabilities to push the higher screen resolution of the new tablet. Along with the new tablet, an Apple TV with upgraded internals is also rumored. 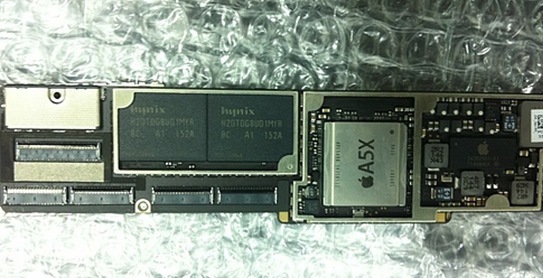 This device would support ‘full 1080P’ video streaming and mirroring that would work well with the new iPad’s Retina display and the mirroring feature of OS X Mountain Lion. Note that this appears to be an Apple TV in the same vein as the current model, that is, a media streaming box and not a full flat panel integrated television. A new Apple TV being introduced simultaneously with the new iPad was reported last week by 9to5Mac and has been supported since with continuing supply constraints that have caused the device to be out of stock at many major retailers. None of these rumors seem too out of line with what we’ve been hearing so far. The addition of an extra 3G model is an interesting wrinkle, but it does make some sense for LTE-free markets. A new Apple TV was always close to a given due to the higher-resolution screen of the iPad 3, but it will be interesting to see if it also gets a new remote.